This project was done by me as a part of my mini project at college. 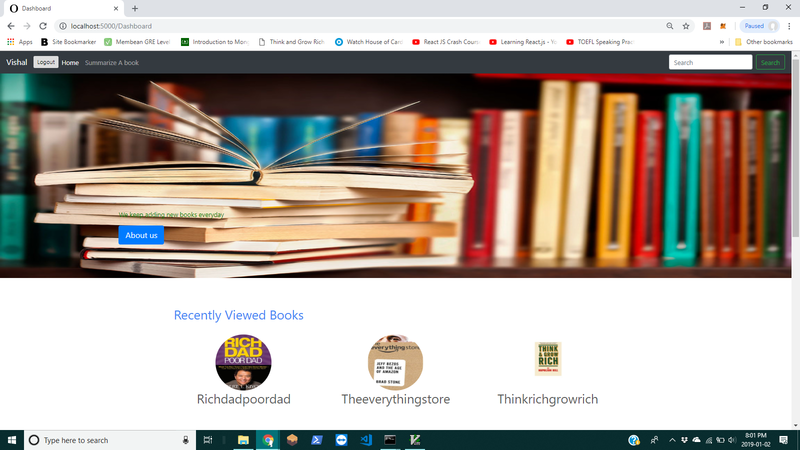 It’s basically an online library type service where users can read books online, get a recommendation of books, last read books, and new arrivals. In this, you can add a personalized summary of the books you read. It is a web app built with python flask framework completely. It uses PostgreSQL db.